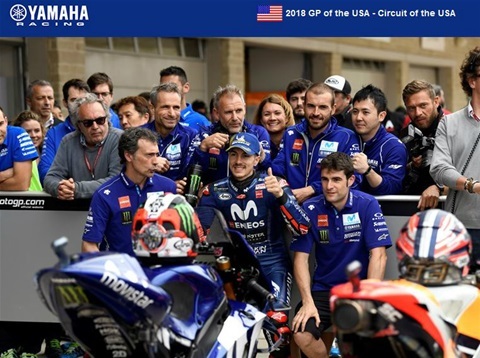 An eventful Q2 session at the Circuit of The Americas (COTA) this afternoon saw Movistar Yamaha MotoGP's Maverick Viñales secure second place on the grid for the Grand Prix of The Americas. However, he is set to gain a starting position for the race tomorrow, as Race Direction has decided to move Marc Marquez back three spots, as a penalty for compromising one of Viñales' hot laps. Valentino Rossi was also flashing various red sectors and only just missed out on a place on the front row. He will start tomorrow's race from fifth position.